Whether you're traveling for business or pleasure, being away from home and your daily routine for even a short period of time can sabotage your diet. It's common to let your guard down while traveling and staying in hotels, however, an abundance of fat and calories can add up quickly and may soon show up on your belly or hips. While it's normal to want to indulge a bit while on vacation or working, keeping decadent treats in moderation and sticking to your normal eating routine as much as possible can let you arrive at home with the same body as when you left. Ask for a microwave and refrigerator when booking your room. There may be an extra fee for these items but you will save money in return by being able to make and store some of your own food. You will also save fat and calories from eating in your hotel room rather than room service or the hotel restaurant. Microwave options include oatmeal, popcorn, steamed vegetables and frozen prepared meals. Travel with a Crockpot if you want to be able to make meals like chicken, rice and steamed vegetables. Crockpot's come in a variety of sizes and you should be able to find one that is small enough to travel with yet large enough to cook your dinner. Keep healthy snacks on hand in your hotel room. Locate a grocery or natural food stores nearby and stock up on fresh fruit, dried fruit, nuts, granola bars, whole-wheat crackers and low-fat cheese's. By keeping these types of snacks in your hotel room you may be able to resist ordering hot fudge Sunday's from room service and instead eat the healthier food that is at your fingertips. Be specific when ordering room service. For example, rather than simply order eggs with toast, be proactive and ask for whole-wheat or multi-grain toast with the butter and jam on the side and egg whites rather than whole-eggs. Most likely you will also be able to swap your side of bacon for fresh fruit salad. Stick to your usual eating routine when on the road and at a hotel. It's easy to let your guard down the minute you get out of town, but chances are you'll regret it when you get home and are fatigued from eating too much sugar and saturated fat. Instead try to eat as you would when you are at home, at least most of the time. Choose a hotel that has banned trans fats. 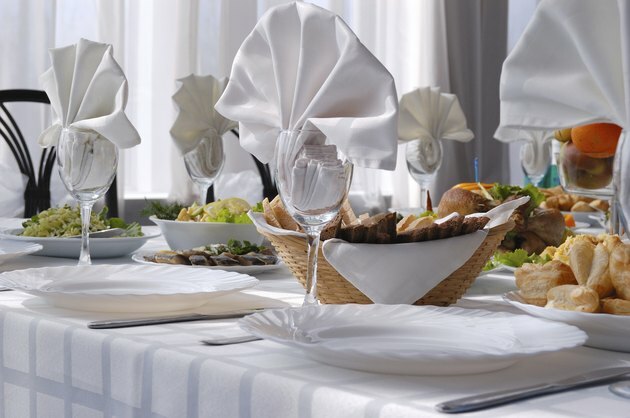 Several major hotel chains have taken to offering healthier menu's in order to please guests. Ask about your particular hotel before booking your room.